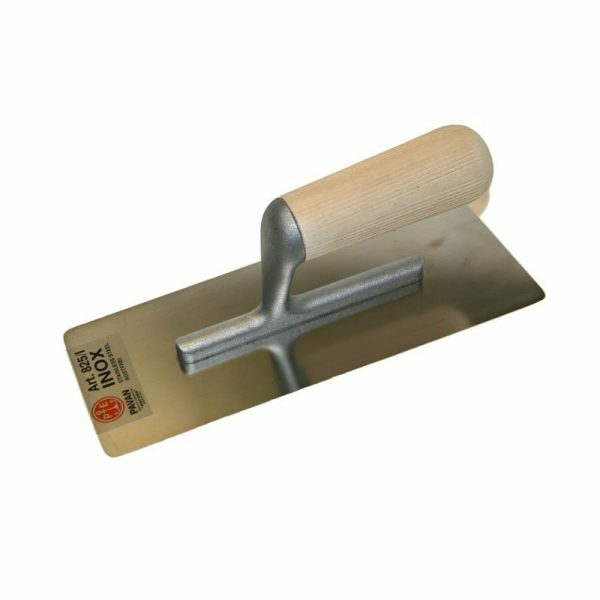 Pavan 825/I Polishing Trowels with a thin stainless steel blade. Special design for marble like rendering. Welded, with a wooden handle. Flexibility and toughness are guaranteed by Pavan under all working condition. The Pavan 825/I is assembled by welding. This is followed by rigorous testing for load bearing and x-rayed to check correct joining. It is the only Italian manufacturer which designs and produces all the components of a wide range of building tools, including trowels, scrapers, brushes and knives.